Japanese Cultural Experience　NEED INFORMATION？　COME TO "Tokyo City i"
Origami is the unique Japanese art of paper folding. Please try creating your own art craft with colorful sheet of papers! Calligraphy is the art of drawing characters with a brush and sumi ink. Please try to write Kanji or ask staff to write your name in Kanji. 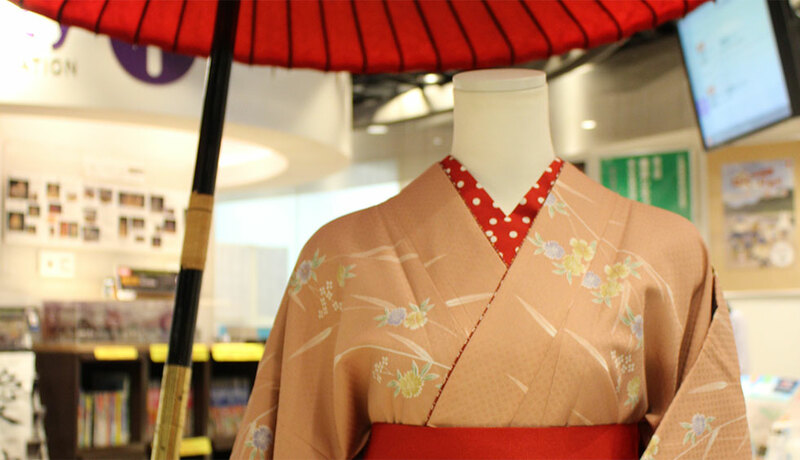 You can experience Kimono dressing on weekends. We will help you to dress in kimono on weekends. Please try wearing Japan's traditional dress and enjoy taking photos of you. ※Please enjoy dressing kimono inside our place.